The internet has truly become the "one-stop-shop" for all things and this will only increase over time. While I believe that blockchain is the next step in an ever connected world, we still have a long way to go and many problems to solve. Eventually blockchain will power all the cool games, apps, social media sites, and other things that are built on the web technology of yesterday, but limitations in the current smart contract platforms like Ethereum make it much harder to scale to a mainstream audience. This is where up-and-coming projects like IOST or Internet of Services Token comes in. With some of their very innovative ideas they are taking the dApp & blockchain development platform world by storm. Ethereum, EOS, and NEO move over because IOST is on the rise in my opinion. Follow along with The 'Stache as I break down this project, how it works, and how it compares to its main competitors. The IOST team is looking to solve one of the biggest issues with enterprise level blockchains which of course is scalability. Perhaps you have heard the term "Software as a Service", well IOST is aiming to have a mass market ready "Blockchain as a Service" that can handle high transaction volume that enterprise level clients like Youtube or Instagram would need. To build the cool new apps and games of tomorrow we need a solid high throughput platform that is secure and highly scalable. But before we get into that, I want to put a spotlight on a few things like the fact that this blockchain ecosystem was built with developers in mind, but also has a really great and supportive community behind it. Community is a big reason I get into projects and IOST has a passionate and growing community. They also reward their community members in different ways including rewards for voting on nodes in their IOST Global Partner Program. "By incentivizing all participants including the community with high potential rewards, we encourage everyone to become contributors, defenders and stakeholders of the IOST ecosystem. " Unlike some other projects, IOST makes running a node accessible to everyone, which in turn helps to secure the network even further. I am actually even going to run my own node too! How cool is that? If you want to VOTE FOR MY NODE, you can find it on their voting site here and it's called "IOST 'Stache" (what else would I call it right?). Get your share of rewards for voting for my node. Voting is a fairly straight forward, but does require a few steps. I will show you how to do it later on in this guide! Now, lets move on to why IOST makes sense. When you look at the issues we face and why other projects have problems with scaling and transaction speed it is because of the fundamental way they are built. For Bitcoin, Ethereum, and countless others as the network grows and the amount of transactions on the blockchain gets bigger the network is slowed down because EACH node on the network needs to hold the whole of its blockchain AND also process every transaction just like the other nodes. "The increasing mining cost will inevitably make the participation in the network become a privilege for the few, leading us straight back to the problem of centralization." This the big problem we face for truly high performance blockchains, but IOST does things a bit differently. 5 Finger Mega Blockchain Punch! To solve this fundamental problem, IOST implements 5 important changes to your standard Byzantine Fault Tolerance consensus methods and network functions. Lets look at each a bit closer. Efficient Distributed Sharding is a fancy term for randomly breaking up chunks of the network so that each chunk can process proportionate amount of different transactions at the same time, versus all the same transactions like Ethereum or EOS. The randomness of EDS helps to prevent dishonest participants in the network, (think double spending, etc) while breaking up the nodes into "Shards" greatly increases the processing power and transaction speed. The EDS system is one of the major backbones of the IOST network and it's what gives it the power to process a lot of transactions, but the key to avoiding problems with not every node validating every transaction is really solved by the randomness built in via the Distributed Random Protocol. I won't get into more technical aspects of this, but you can find more in the IOST whitepaper here. Just know that this Sharding system really gives IOST an advantage as a smart contracts development platform. TransEpoch node swapping helps to keep a rotation among the nodes. Basically, instead of having all the same nodes producing blocks all the time, similar to how EOS works, the block producers are rotated around. This way some nodes can continue working while others are being switched out. Atomix is the name given to the process of sending transactions between 2 shards. Since the shards are separate from each other they still need a way to communicate to help with uniformity of transactions across the entire network and prevents things like double spends of the same tokens. Proof-of-Believability separates all the nodes into the network in to two different categories. There are "Believable nodes" and then you have "Normal nodes". They work together to ultimately process and validate transactions. Believable nodes quickly process the transactions and then the Normal nodes are like the clean up hitter that makes sure the Believable nodes are acting fairly and honestly. Any node can be either Beliveable or Normal and this all depends on a nodes "Believability Score". Being elected to be a Believable node depends on several factors including token balance (both IOST & Servi tokens which we will get into in a sec), contributions to the community, reviews, etc. The whole system is designed to be very fast because of sharding, but also resistant to issues that arise from this as well. "If a validator (node) is detected as misbehaving, it will lose all their tokens and reputation in the system while the defrauded users will be compensated for any loss." It's a really novel approach to processing transactions quickly while not requiring each node to process ALL transactions like Ethereum & EOS. Micro State Blocks round out the 5 finger blockchain punch! As we said, having all the nodes in the network keep a copy of the entire blockchain bloats the network and can quickly get out of control size and cost wise. Micro State Blocks keep just the headers from the previous block on each node, greatly reducing the storage needed. This way nodes only need to validate against the last block in the chain versus the entire thing. These are the main technical aspects that set IOST apart from other smart contract development platforms. Now let's take a look at the actual IOS & Servi Tokens themselves. Non-tradable: Since Servi is not designed as a medium of exchange, Servi can not be traded or exchanged in any way. Self-destructive: After validating a block, the system will automatically clear the Servi balance owned by the validator. In this way, nodes with high believability scores can take turns in validating blocks, to ensure a fair block generation process. Self-issuance: Servi will be generated and deposited to user accounts automatically after certain contributions, such as providing community services, evaluating services provided by another entities, and/or making other special contributions. So you can see that both tokens have vastly different uses in the network. 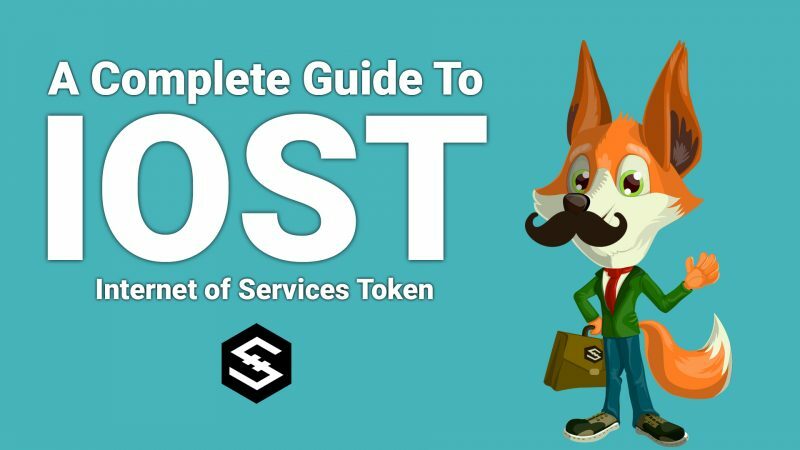 IOST is the token that holds value within the community and Servi is a utility token with the goal of keeping things decentralized and breaking up who is validating nodes at any given time. Now that we understand the tokens, why should I invest in IOST? While I love the innovative notion of Proof-of-Believablity and their very intuitive take on creating an enterprise blockchain, this is really not enough for me to get excited. What puts me over the top is the fact that they have a SOLID community behind them, a diverse pool of major investors, they have an experienced & dedicated team, and launched their mainnet with dApps ready to go mainstream. The IOST Community is international and people from all over the world are participating even though the project is based in China. I mostly interact with the community through their main Telegram channel here. You can also sign up for their IOST Community Hub portal here, which has some cool features like earning CP points which you can redeem for coins & quests that are rewarded in IOST (although this is still in development). Their pool of main investors is also pretty impressive. 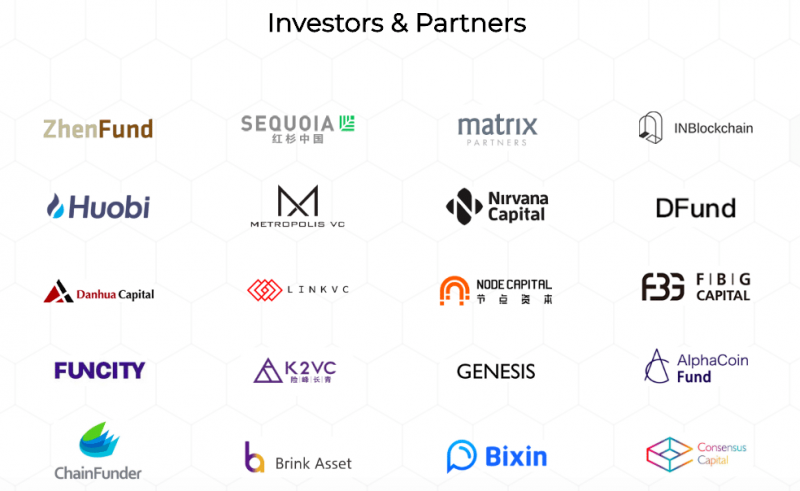 Major firms like Sequoia and Huobi as well as individual investors like Jia Tian, investor in Bitfinex, limited partner at Bitfund and a consultant for Zcash, BMan Lee, a consultant for Alibaba, Lenovo and Qihoo. He is the lead for Baidu’s AOD platform which serves more than 500,000 businesses, and Ryan Bubinski, Co-Founder of Codecademy and listed as one of TIME Magazine’s 100 Most Influential People. Large companies like this don't invest into a project or a team that is not well set to produce excellent results. While I am still getting to know the entire team, the co-founder leadership of Terrance Wang and Jimmy Zhong continues to push this project ever forward as they have moved up the ranks on places like CoinMarketCap.com over the last year. You can read more about their team here on their website. With the recent mainnet launch IOST already has a host of confirmed dApps that will be on the platform (many of them being gaming dApps!). Here is a short list of the ones already out there. Throughout this article I have compared IOST to the major smart contracts platforms like Ethereum & EOS, and I think that while IOST is coming on to the scene a bit later than these established projects, their fundamentals have both beat in many ways. In comparison to Ethereum, the transaction speed increase of IOST is a huge defining factor. Ethereum has been saying forever that it is going to move to Proof of Stake and also institute Sharding, but they just have not gotten there after years of promises. IOST was purpose built with sharding implemented from the start. Another factor is the transaction cost. It's cost a good amount of GAS to use Ethereum dApps and this is a major barrier to entry for a mainstream audience. IOST does not have these problems! Now if we compare EOS to IOST, I think the biggest difference is how they produce blocks. EOS has a small handful of super nodes that validate all the blocks. This results in a more centralized system in my opinion, especially in the long run. With IOST you have nodes being rotated out constantly in the block validating mechanism so you have the ability to get a larger number of nodes involved. With IOST you also have a much easier chance to become a node in the system and contribute in other ways versus the somewhat static nature of EOS nodes. If you want a more technical and in-depth look at the comparison of these projects, check out this blog on the IOST website. Of course there are other projects out there that IOST competes with, but I think that besides just cryptocurrency projects they are also competing with major players like IBM and Microsoft that are coming up with their own private enterprise solutions. The main difference I see here is that no one is excited about IBM or Microsoft and IOST certainly has a community that is eager to be part of the network and see it thrive. If you want to buy IOST then I would recommend looking at either Binance, Huobi, or Kucoin as some of your better options. I don't trade on Huobi, but they are a solid exchange. Binance is always my go-to spot for trading altcoins and they just added an IOST/BNB and an IOST/USDT pair. I have purchased some IOST on Kucoin as well through my recent Shrimpy demo (see that article here). 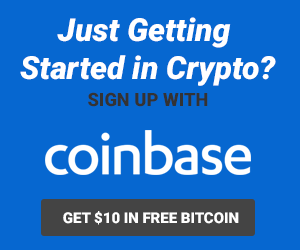 So in my opinion these are the best exchanges to buy IOST with the lowest fees and hassle. It shows you exactly how to vote using your IOST tokens. If you found this tutorial helpful I would LOVE it if you would vote for my node (IOST 'Stache is my node name, search for it on the Biss.com voting site). Since I am a smaller node your rewards are nice and I am going to continue to put out IOST focused content in the future to help you learn and grow with this project.